A traditional Indian attire in traditional Indian colours. The ‘chaniya-choli’ is the adornment of every bride, the garment for celebration and festivity. 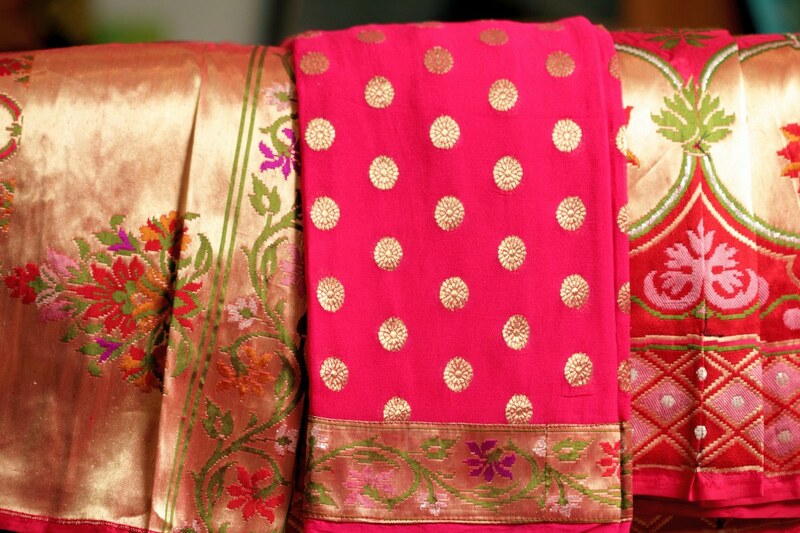 This beautiful set with intricate traditional Kinkhab work, an embroidery native of Gujarat, is rich and gorgeous. The cascading georgette fabric is and the delicate work is sure to win hearts.